Multi-purpose video themes are WordPress themes that aren’t necessarily completely video-focused, yet have strong and unique video-related features. These themes are ideal for anyone who doesn’t need their website to revolve around their videos and would actually benefit from a wide range of additional features. Inspiro is a video theme built for professional photographers and videographers who want to share their content in a portfolio format. The theme features formatting options that allow you to create custom, fullscreen slideshows that include both your photos and videos. On each slide, there is a “video lightbox”, meaning your video appears to jump off the screen as the entire background dims — this helps your visitors focus on the content they’re viewing. 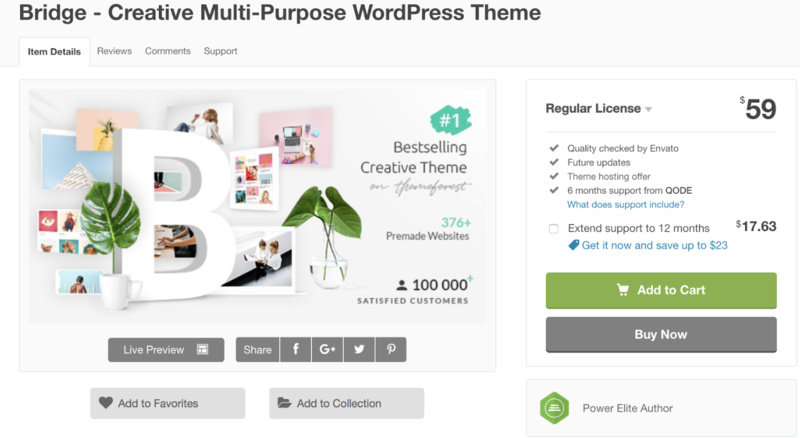 The theme also works for professionals who are hoping to sell their work because it includes a WooCommerce integration.